The Castle Hills Conservative Club is holding a "Repeal, Replace, Reform" Tea Party in Castle Hills (Dallas area) later this evening and will be discussing how to reduce the government to the Constitutional Republic. 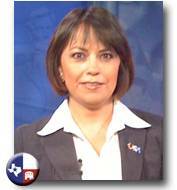 TexasGOPVote blogger Adryana Boyne will be a speaker at the event. Food will be available from Mezza Luna at 6pm. Please come to the event if you are in the area! why was John Jay Myers of the Libertarian Party invited to speak here? we do NOT need any more conspiracy nutjobs speaking at any more TEA Party movement rallies. I am sorry, I didn't realize I talked about conspiracies. I have one .... that people I don't know, and who obviously do not know me, tell other people that I believe in Conspiracy theories.